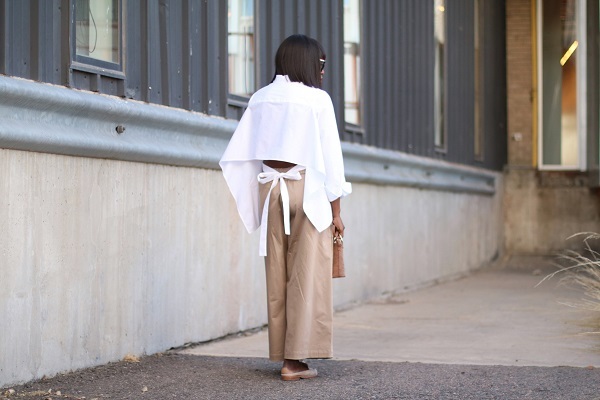 With the spring season just around the corner, a perfect reason to add more clean and crisp pieces to the wardrobe. 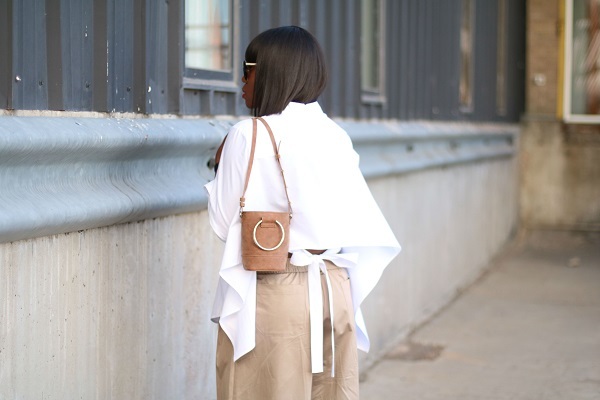 Do consider this shirt, I love the movement due to the soft fabrication and of course I have a thing for the back detail; adding a bit of twist to a classic piece. 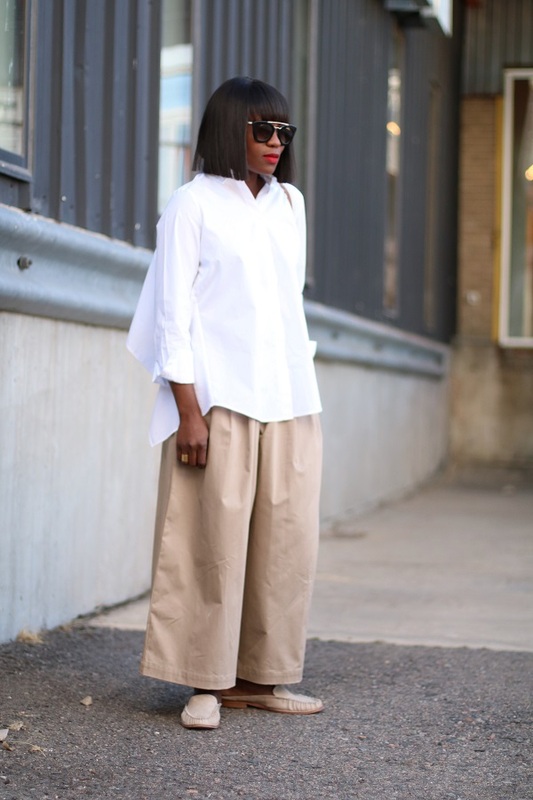 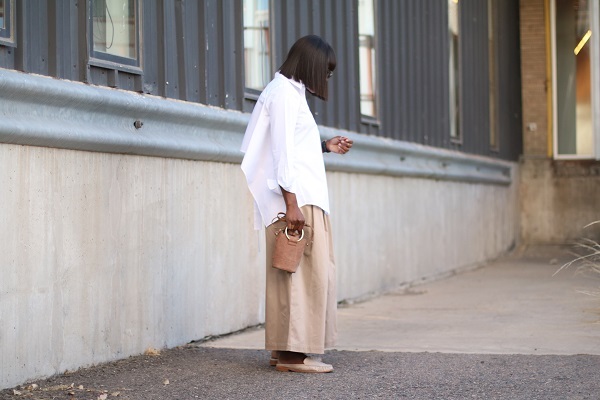 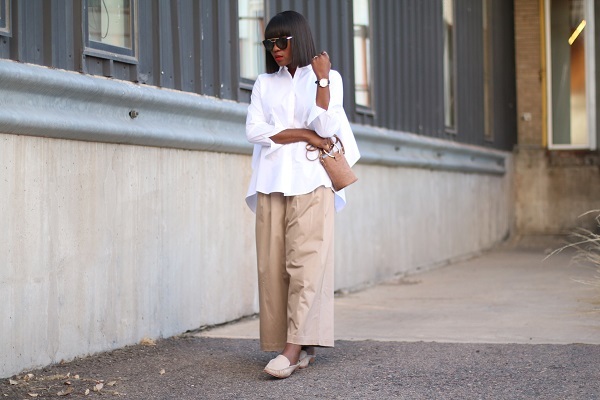 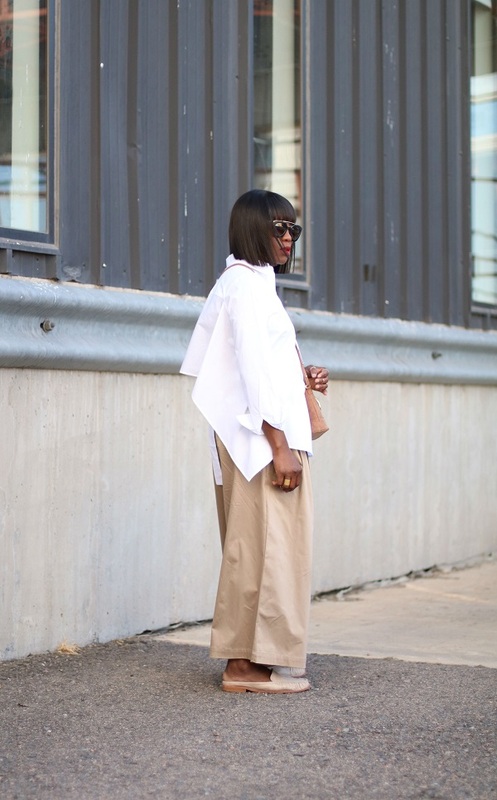 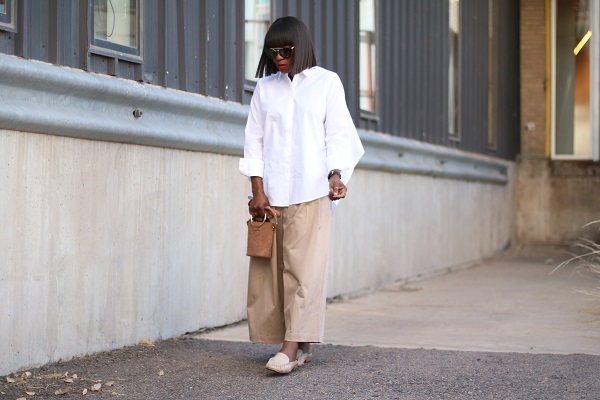 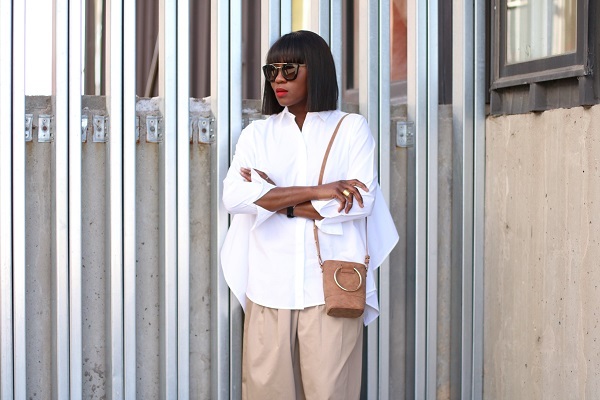 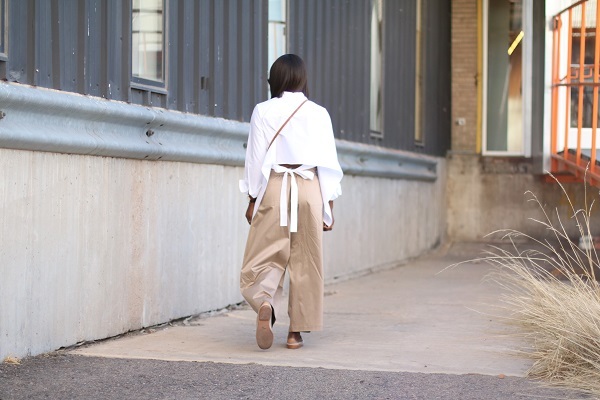 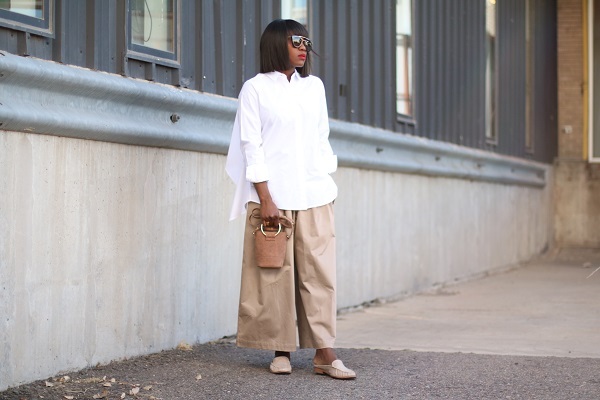 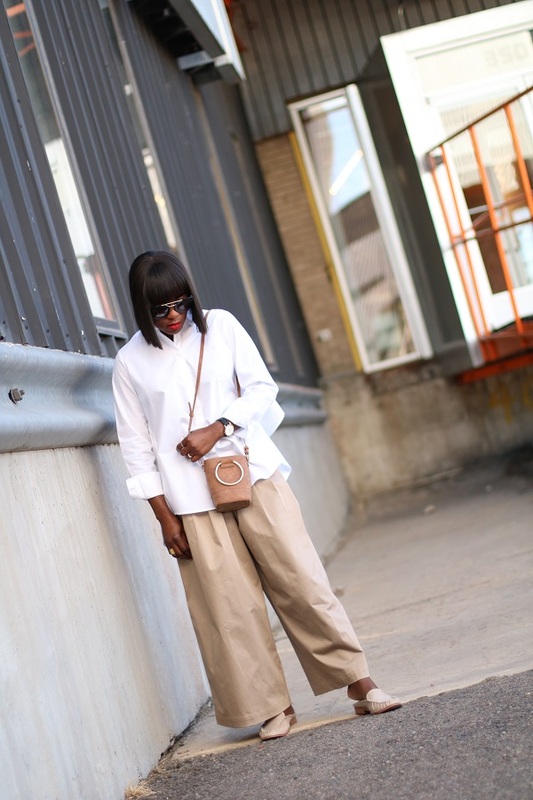 I styled my top over these khaki oversized pants and finished with taupe mules for a more relaxed take. 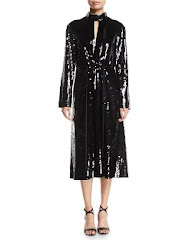 I hope you love the look. 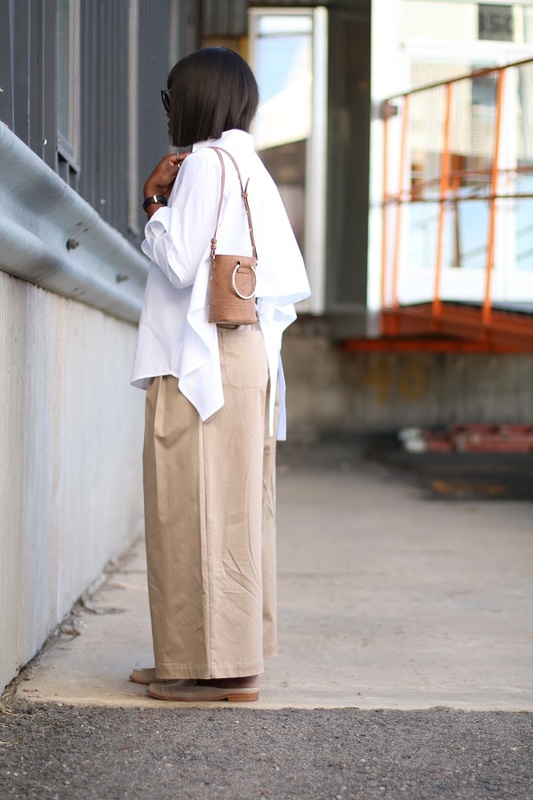 Thank you Who What Wear For Partnering in this Post.